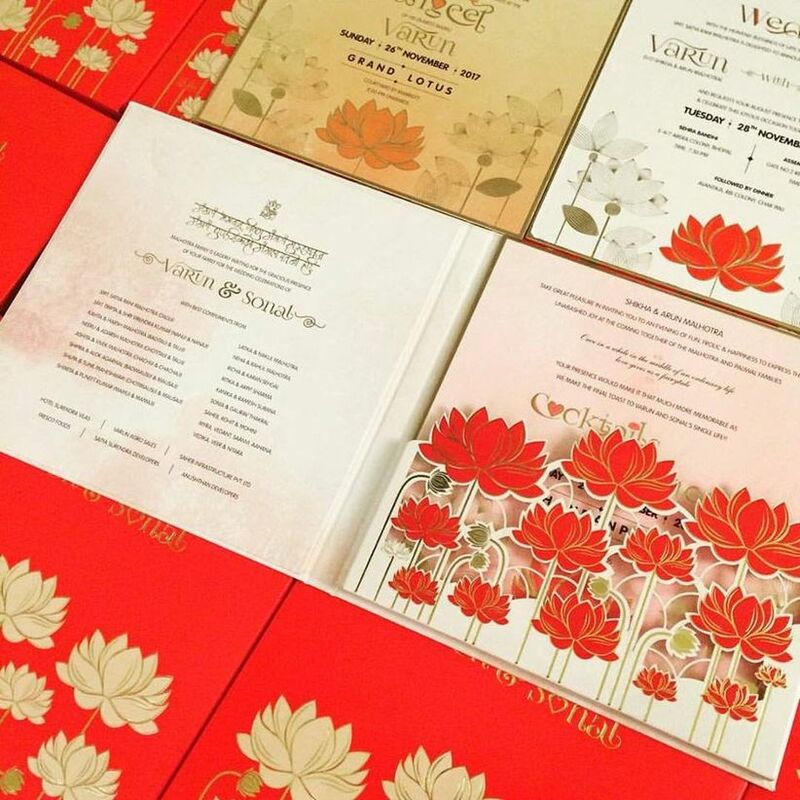 Wedding Invitation Wording Tips Every One Must Know Before Printing Their Cards | Wedding Tips ARE YOU A VENDOR? Aside from spreading the word to friends and relatives by mouth, wedding announcements are best done by sending out invitations. A proper wedding invitation must include just the right wording. 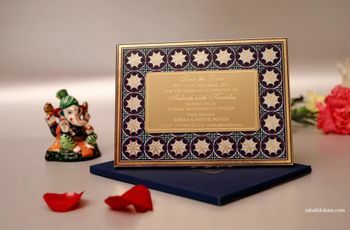 You can add some Vedic phrases like “Mangalam Bhagwan Vishnu Mangalam Karunadhwaja...” This would retain the traditional flavour of your marriage invitation wording. If the bride's parents are hosting, it’s customary to leave off the bride's last name. Names, dates, venues and numbers should be spelt out. The only abbreviations to be used are Mr. and Mrs. The different events of a traditional Hindu Wedding e.g. Mehndi, Haldi, Sagai etc. should be clearly mentioned with dates, time and venues. Since traditional Hindu weddings involve worship, the request line wording reads “request the honour”. The letter should end with an RSVP at the corner bottom with names of the family members who are inviting. The invitation line - “The honour of your presence” for religious service while “The pleasure of your company” to denote a little less formal ceremony. The information - Time, date, and location should all be listed. The party line - Give information about the reception, dinner, the cake, music, dancing and all the party details. 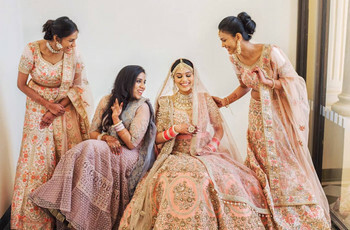 Couples with a funny bone could use comical references like, “when two psychopaths are in love, God save the world...join us in the most insane wedding ever..."
You can add pictures of your engagement rings or the bridal Lehengas and groom’s Sherwani to the invitation to make it look more personal. 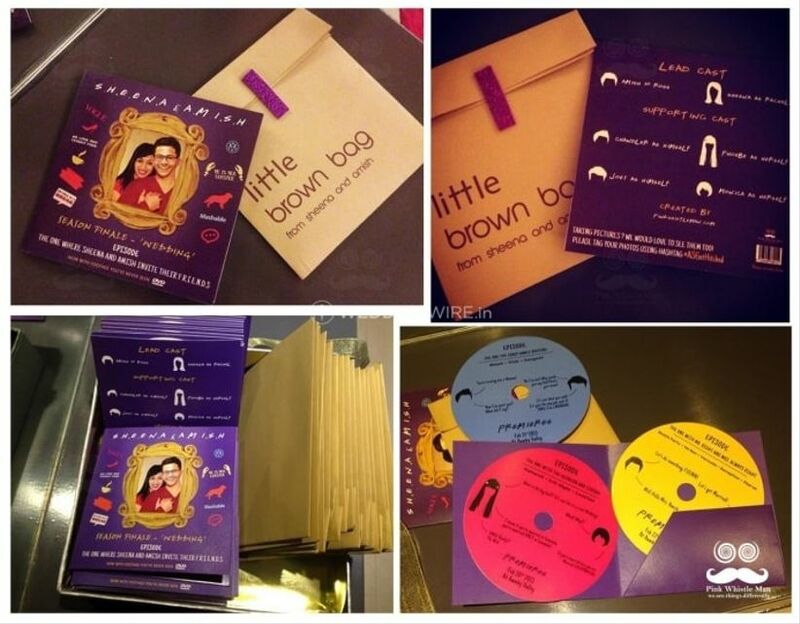 Create your wedding invitation in such a manner that every guest can’t help but attend your wedding. 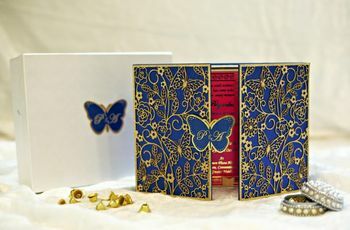 Your wedding invite is the first official statement of your wedding, so it is imperative that you start off on the right foot! Your wedding guests should be able to relate to what your wedding invite reads out. The tone should be informal but not too informal either. 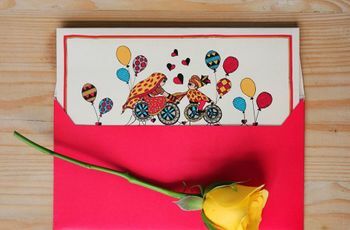 A cohesive mix of some quotes and personal sentiments should be at the fore of your card and should legit be its essence. 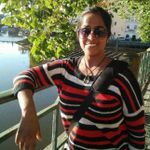 Before, you finalise how your card will visually appear to be, so make sure you discuss with your partner as to what you want to be printed on it. A quote or perhaps a song lyrics or some meaningful words from the scriptures, be sure as to what you want your card to read out! 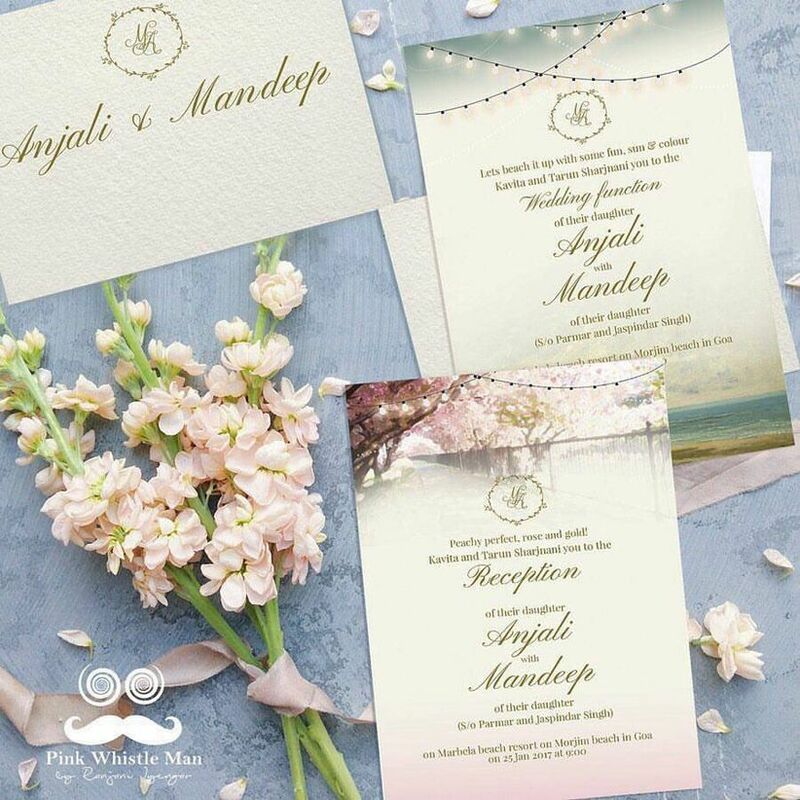 So, read on a few samples that are available on social media, talk it out with your partner and last but not the least contact a wedding invitation designer to put your dreams to thoughts! 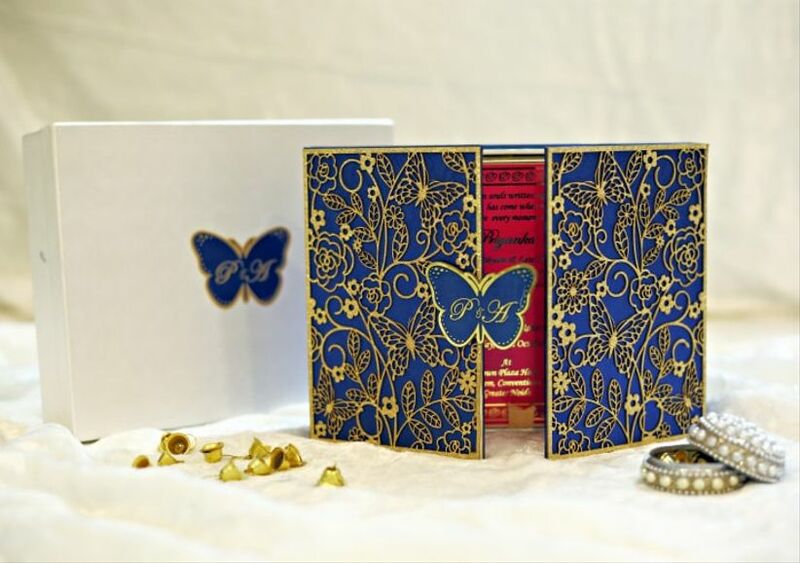 Leave a word of advice for couples or your own experiences while selecting the wedding invitation wording, in the comments below.